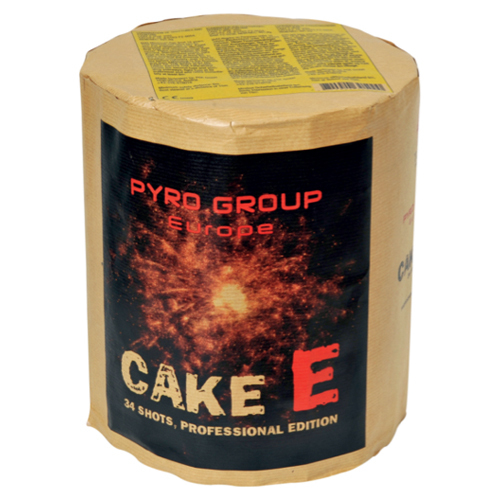 Cake E fills the sky! It has a crackling fountain at ground level and fires effects over the top to give the audience something spectacular to look at. The effects fired over the top of the fountain are golden tail to golden willow changing to red and blue with silver glittering before finishing with golden tail to red and blue with time rain crackling effects.